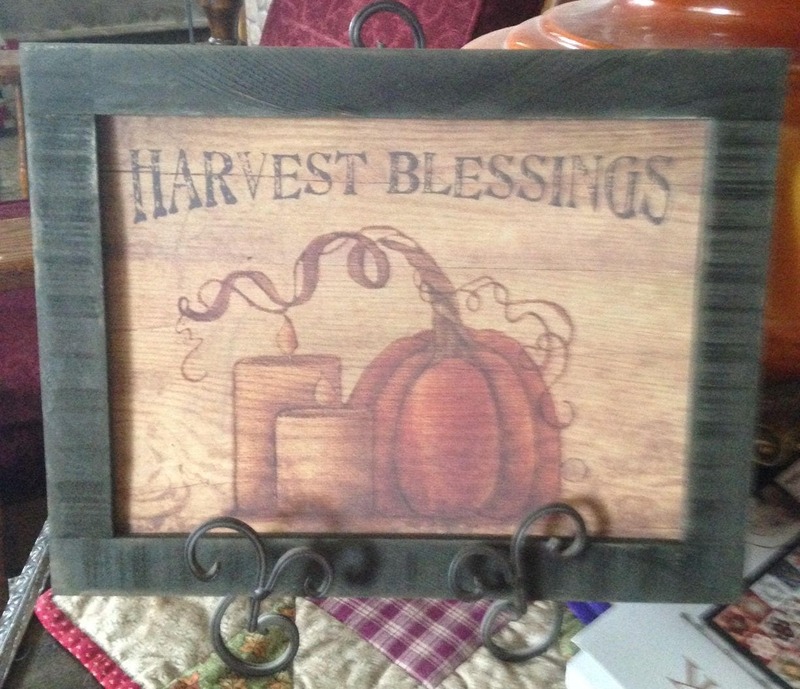 The Harvest Blessings framed sign measures 10-1/2" H x 13" W. An autumn design of a pumpkin, candles, and the words "Harvest Blessings" sits inside a black frame. Sign comes with two attached sawtooth hangers for easy display. It is a wonderful addition to any primitive country display.